Welcome to the world of femtech: Your employer can monitor your entire pregnancy with this app 6 brilliant things people with emotional intelligence do under pressure How to get smarter every day Researchers devise new deadline trick: decide which deadlines are actually important If your coworker does this when they speak, they may be a psychopath That bad restaurant review you read on Yelp may have been influenced by this odd thing 3 key things to ace the interview according to an expert Emotional intelligence: what is it and how can you improve yours? Why you need to ask these 7 questions to test soft skills during a job interview Over 50 and looking for a new job? Avoid these 8 resume mistakes The remote worker craze isn’t the best for every business. Here’s why How to use soft skills during an interview to land your dream job 3 key things to ace the interview according to an expert This iconic (and tiny) fashion trend will be all over your office this summer That bad restaurant review you read on Yelp may have been influenced by this odd thing Emotional intelligence: what is it and how can you improve yours? 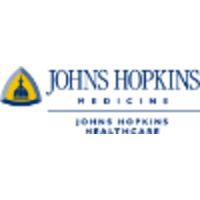 The Sr. Communications Specialist supports the Johns Hopkins Health System Central Human Resources Departments in the development and implementation of engaging content for a wide variety of internal and employee communications and may include communications with external HR customers and partners. The Specialist will plan and develop communications content for various audiences, including materials for leadership, managers and employees. Formats will include announcements, articles, scripts, talking points and presentations-and other assets as needed-to be distributed through JHM electronic, print, web, and video communication channels. The Sr. Specialist will also plan and develop human resources-related communications, including assets and content related to employee engagement, policies and procedures, benefits, retirement, recruitment and hiring, organizational change, vision, strategy and structure including the preparation of presentation decks. The Sr. Specialist will be responsible for maintaining the content and structure of the Human Resources website and develop/maintain an HR social media presence for internal and external customers in collaboration with Marketing and Communications and the HR Leadership team. The position will collaborate with Marketing and Communications, Human Resources staff members and key people across the health system for strategy and implementation. This position will represent HR on enterprise-wide workgroups, committees and projects. The Sr. Specialist must interact confidently and professionally with various levels of leadership, faculty and staff, and demonstrate excellence in writing, grammar and editing. The position must have high level project management skills and the ability to work independently. The position reports to the Director of Human Resources Strategic Initiatives and Operations. Bachelor's degree from an accredited institution in Journalism, Communications, Public Relations, Marketing or closely related field. Advanced degree preferred. A minimum of five years of related experience in communications is required. Preferexperience in developing employee-focused content for print and digital media. Experience in communications in the health care industry is highly desirable. Requires demonstrated experience working successfully on deadline, designing and implementing communications plans and strategies, and in writing/editing high-quality content.